Thank you for the prompt production of an unusual sized plastic sleeve I required to cover a wide wardrobe rail. I had enquired of other companies who were not able to help me. Then, thank goodness, I saw your website....... and Wow! You were extremely helpful to me and I cannot sing your praises enough. Apparently, your company 'Sleeve it' is able to provide any width of sleeve, whilst I found that the many other companies I approached, including Plumbers merchants, only stock one size. Furthermore, you can service the whole country with all sizes of plastic sleeves. I highly recommend you and your company, and would like my appreciation to be recorded. Thank you, once again, for your kind attention, courtesy and for producing the goods! Fantastic! A stunning Christmas display using Sleeve It's PVC snap-on pipe covers. 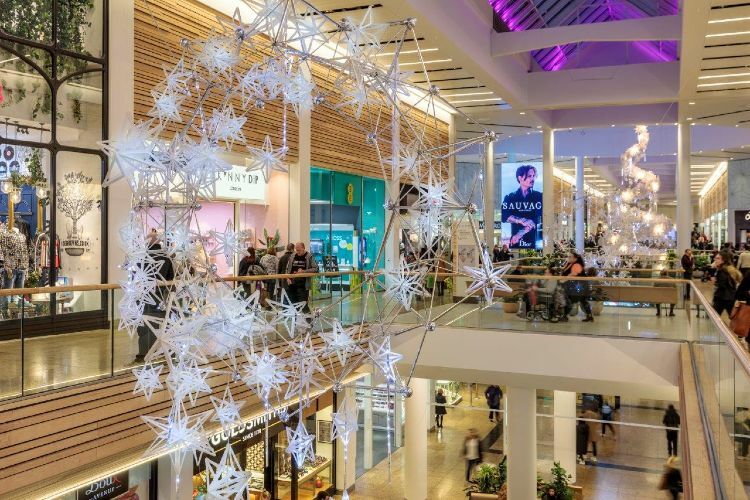 Meadowhall, Sheffield - Christmas 2017 designed and created by James Glancy.